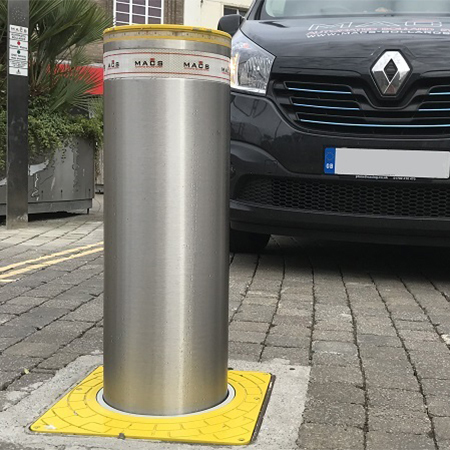 The Macs PASS range of Automatic Bollards are hydraulic security bollards for use in highway approved and similar schemes, and are a result of over 20 years of research and development. • Integration with various access control options, including Macs’ bespoke bollard control and monitoring system, allowing complete control of the bollard systems from anywhere in the world. • MACS P275/800 – Macs’ flagship product. 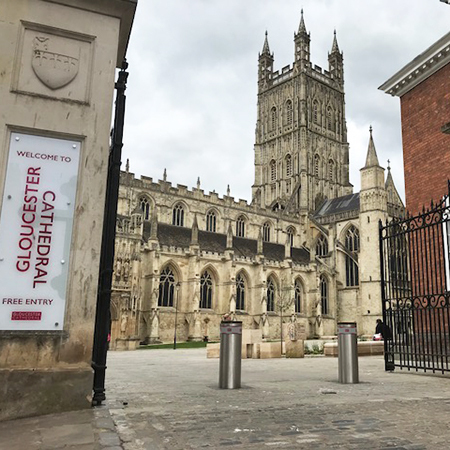 Installed in towns and city centres across the UK. • MACS P275/600 – Ideal for use in a variety of applications such as private residential to public realm schemes. 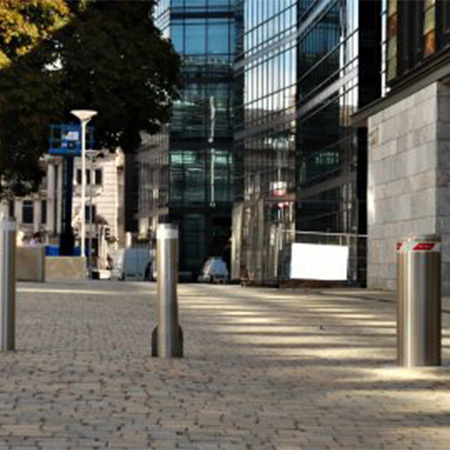 • MACS P275/800 P10 – 800mm Rising bollard with 10mm thick cylinder, allowing for greater impact resistance. • MACS P275/500 – A smaller, more discreet bollard at just 500mm, suitable for use in many applications. 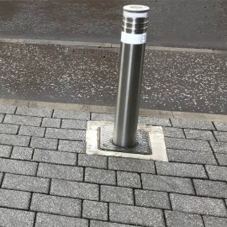 • MACS P275/400 – Offer the same strength as larger sized bollards, with a smaller foundation box when the need for a shallower installation arises. 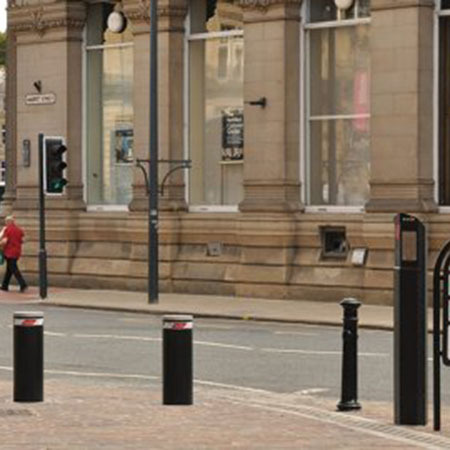 • MACS P220/600 – One of Macs’ top selling bollards. Used in a variety of applications, with additional safety applications such as flashing LED lights. • MACS P127/800 – Slimline, automatic retractable bollards. Ideal for perimeter security and vehicle restriction. • MACS P127/600 – Retractable and slimline, commonly used for private driveways, car dealerships and commercial premises. 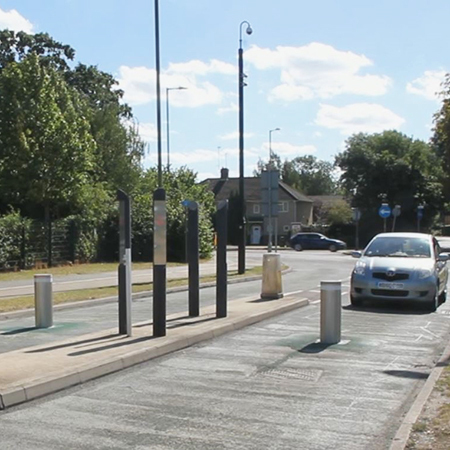 Find out more about Macs 'PASS' Automatic Telescopic Bollards here.